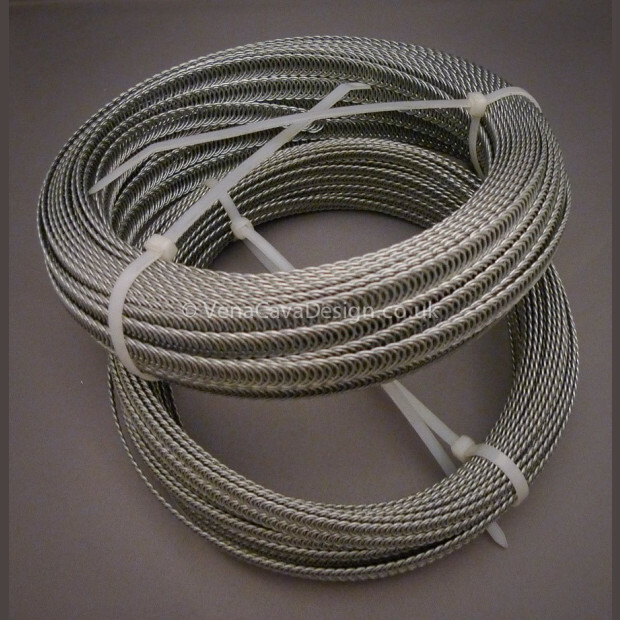 Spiral Wire for corsetry, just add end caps to make any size of wire you need. Spiral wire bends in two directions so use this on curvy seams particularly in the bust area. Cutting the wire requires a fairly hefty pair of pincers, pliers or side cutters or our heavy duty wire cutters (found in the tool department). When chopping this wire to length only cut through one single loop of wire at a time. We would recommend that you use eye protection whichever method you adopt! 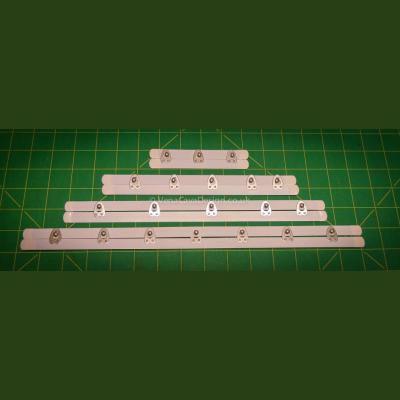 Don't forget to order some end caps to cover the cut ends, they can be very sharp. 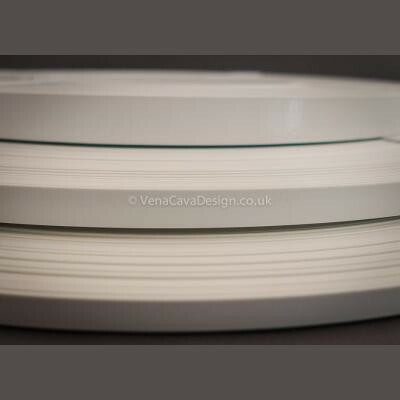 We have metal end caps for all 4 sizes and plastic stitchable end cap for the 11mm size. 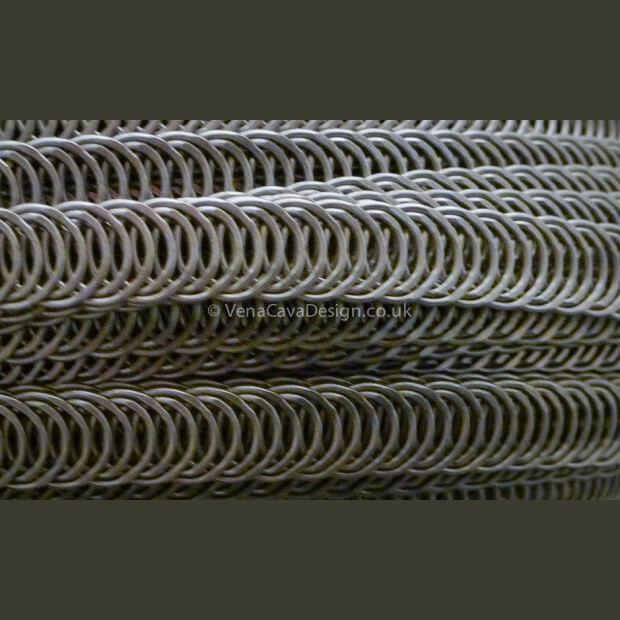 The 7mm wire is generally assumed to be the standard width (this size is same material used in our heavy weight 7mm finished spiral wires) for corsetry and bodices (7 x 0.9mm), however, we also stock a very hefty 11mm spiral wire that adds a really curvy, firm support and the slightly more delicate 5mm and 6mm wire. Specification: 5mm, 6mm, 7mm, 11mm widths available. Save money on full 25m rolls! NB You may notice some oil residue from manufacture on the wire. We strongly suggest you clean it with Methylated Spirits or similar before use.